As big fans of the work of Secret Cinema we’re absolutely on the edge of our seats about their latest event screening the Sci Fi cult classic ‘Blade Runner – The Final Cut’. From previous SC events we know the team will be planning something very special indeed – so watch this space. In the meantime don’t forget you can still get your tickets, but make sure you do quick as they’re selling fast! 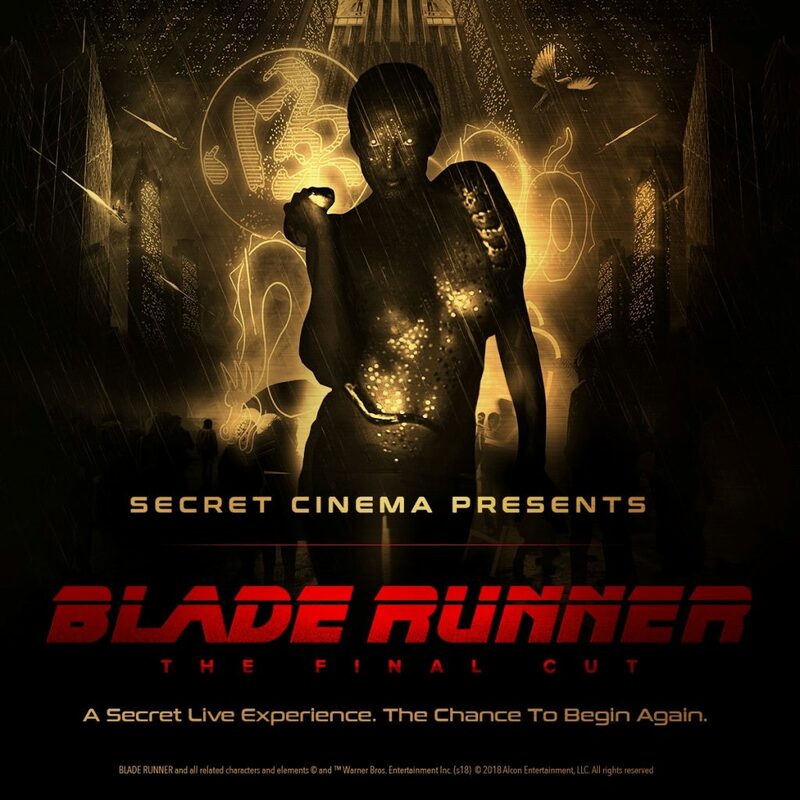 Secret Cinema is adding 20 extra dates to its new secret live experience Secret Cinema Presents Blade Runner – The Final Cut. Tickets for the new dates, 13th June – 8th July, will go on sale on Wednesday 7thMarch 2018 at 12pm (GMT). The 80 shows will run from 21st March until 8th July at an undisclosed London location. Building a richly detailed world inspired by the iconic and highly relevant world of Blade Runner – The Final Cut. Audiences will be given new identities within the world of the experience and have the opportunity to journey to the captivating future world of downtown LA. From carnivalesque street cyberpunks to geneticists, blade runners and replicants. They will be challenged to discover themselves against an ever-growing dystopian world, forced to confront their empathy and sense of humanity. They will feel the oppressiveness of the Tyrrell Corporation, experience a bustling city, where toxic rain falls, nothing grows but neon lights shine, and where curious Eastern market stalls sell to radically dressed humans and replicants. Fabien Riggall, Founder and Creative Director comments: “This will be our most detailed and epic Secret Cinema so far, with most of our nights already filled up. We are excited to grow this truly spectacular world with our audience. On the night they are immersed into a multi-layered adventure that transcends the real world”. Tickets will go on sale on Wednesday 7th March 2018 at 12pm (GMT). Prices ranging from £45 – £175 depending on ticket tier and day. Those attending on Friday and Saturday nights will be treated to an extended after-party featuring guest DJs and artists.